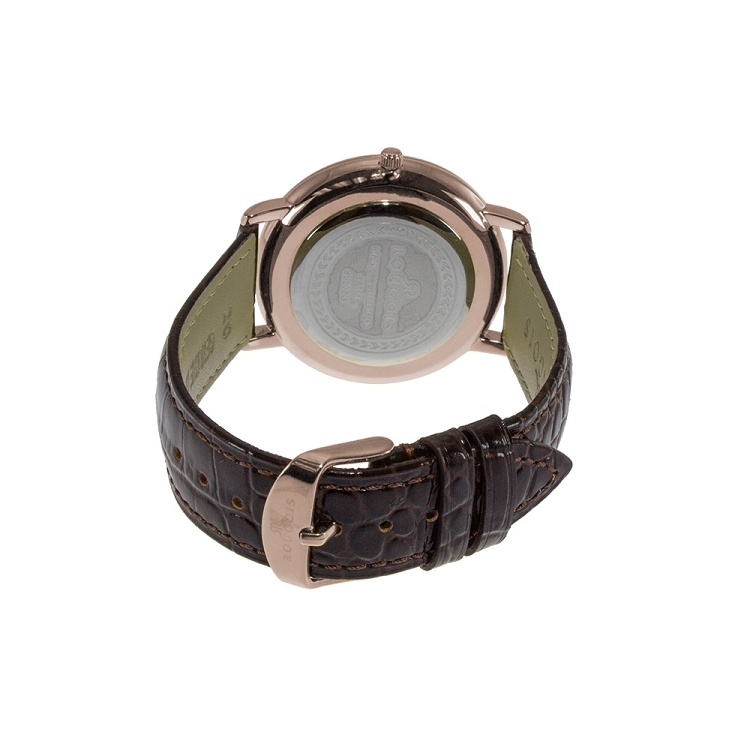 This watch features a deep brown leather band with a rose-gold-tone case surrounded by sparkling hand set crystals. 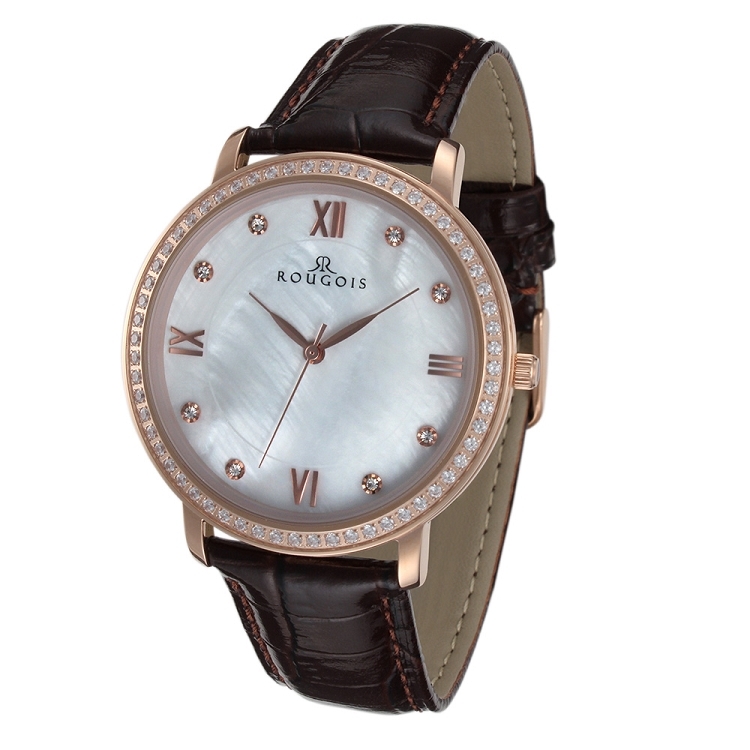 Four roman numerals add a classic style with crystal tick marks creating an elegant look against a white marble-like background. 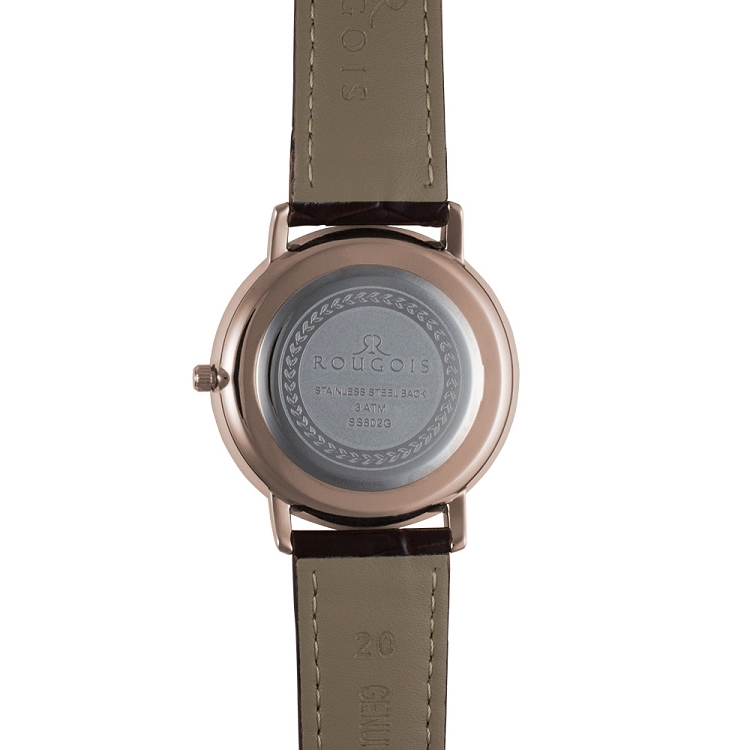 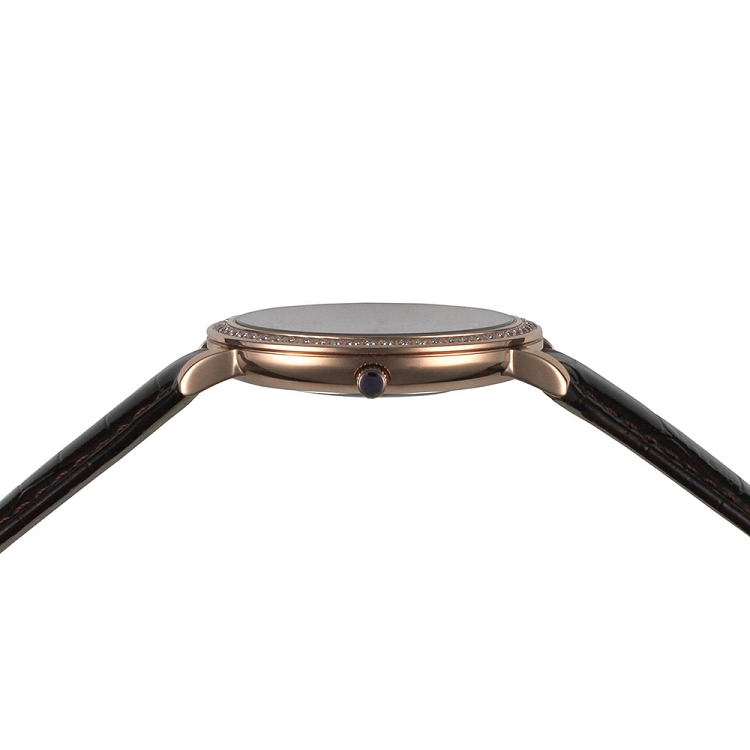 Rose gold tone hour, minute and second hands helps you can keep accurate time with this incredibly stylish watch.